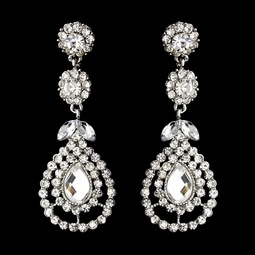 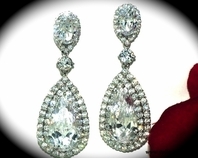 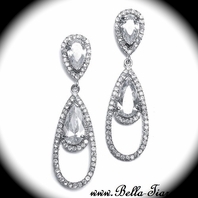 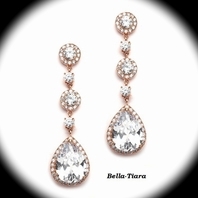 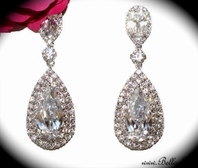 A beautiful set of sparkling crystal earrings featuring gorgeous Austrian crystals in a delicate silver setting. 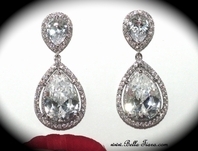 A gorgeous accessory for a wedding or any elegant occasion. 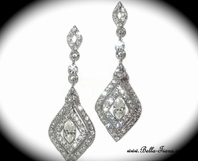 Size: 2 1/2" long, 1'' wide .